John M. Hawkins: Can you help? I'm looking for reviewers to review Coached to Greatness, Free Book & Starbucks Gift Card. Can you help? 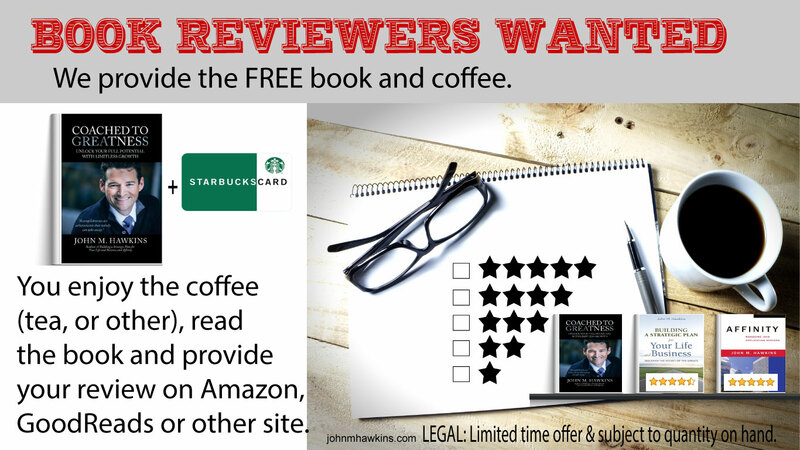 I'm looking for reviewers to review Coached to Greatness, Free Book & Starbucks Gift Card. For a limited time, I am offering a FREE book & Starbucks gift card to anyone who will review my latest book "Coached to Greatness." You don’t find greatness in a day or overnight. Change takes time, and making too many changes in a short period of time creates chaos. But incremental, positive changes can help you find your purpose, hold yourself accountable, and achieve goals and objectives. • track your progress toward accomplishing goals. If you know you can accomplish more but change is slow to come; if you don’t wake up excited and ready to achieve; and if you don’t know what to do with your life, career, or business, you need this guide to success. By keeping an open mind, tuning into your senses, and being on the lookout for motivation, opportunities, and like-minded individuals who want to do more, you’ll be coached to greatness. * If you want a signed paper copy or Starbucks gift card send a physical mailing address, PO Boxes are just fine. A podcast that explorers tips and tricks to help make better decisions because you don’t get ahead by accident. Rise in Job Satisfaction Means Americans Should be Happier at Work – So Why aren’t you? 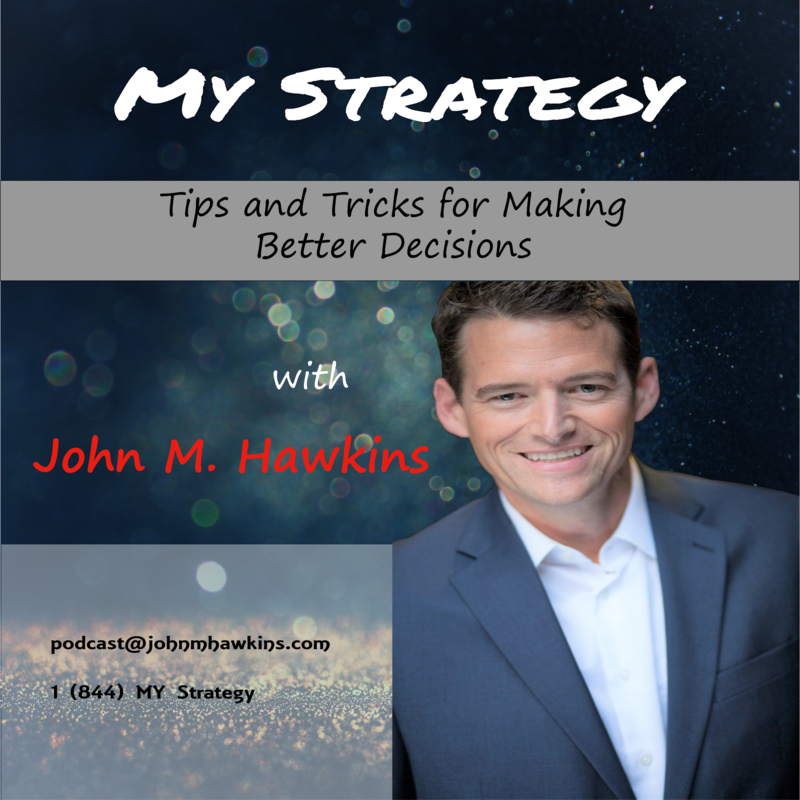 Listen to "My Strategy" on Spreaker. Five Tips for Making New Years Resolutions. A bird's perspective on, a bird in the hand is worth two in the bush. Some Change is Good, But Too Much Change Can Create Chaos!